In keeping with one of its educational values, that of service to its local and global communities, The Prairie School — with a culmination of nearly 450 students from our Primary and Upper School — hosted a series of events dedicated to science, service and very special person, Emily Maki who passed away in 2011. Since then, the School has developed a series of events in her honor. On the evening of Friday, April 11 and Saturday, April 12, Prairie’s student government hosted a tye-dye themed dance-a-thon and fashion show that raised over $3225.55 in support of the Juvenile Diabetes Research Foundation and in Emily’s honor. From swing dancing, salsa, and zumba, students enjoyed an evening of endless dancing and instruction. The following evening, Upper School students took to the runway and modeled clothes from Francesca’s at Mayfair Mall and Tres Belle Boutique in Lake Geneva. Some of the designs were also created by Emily as she also had a great love for fashion. These two student-organized events, helped students learn responsibility and leadership, as well as an appreciation and awareness of their ability to make a positive difference. On Thursday, April 17, the entire Primary School participated in a full day devoted to science exploration and learning. 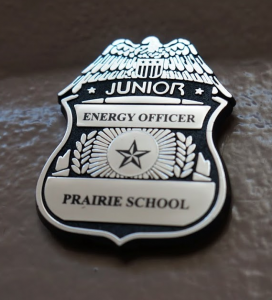 Activities, field trips, and presentations were organized for the entire Primary School including a very special Junior Energy Officers event at SC Johnson’s Golden Rondelle. 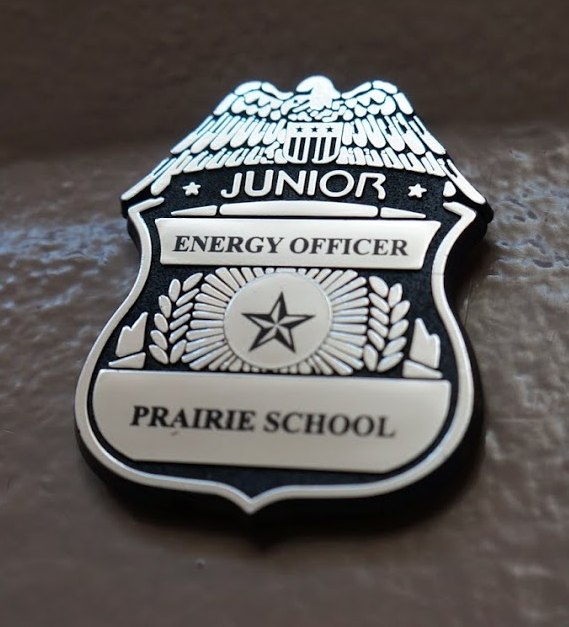 The fun and interactive presentation not only taught students how to reduce their environmental footprint but students were challenged to become energy officers through the month of April and serve energy violators with a citation. At the end of this month, the classroom who serves the most tickets will enjoy a pizza party with Captain Current, an energy superhero. The remainder of the afternoon also included trips to Racine’s Eco-Justice center for our early schoolers and kindergarteners, water testing for our third graders, an afternoon at Discovery World for the fourth graders, and a trip to Growing Power in Milwaukee for our first and second graders. At Growing Power, also a new partnership this year, students were given a tour of the facility and farm that produces vegetation and raises fish, goats and chickens that are later sold and distributed to local markets. Students were taught the importance of using every available resource in order to sustain a healthy environment. Through experiences and activities such as these, our youngest students are able to develop a better understanding of the sciences and the individual impact they have at home and in their community. The Primary School is thankful for the partnerships they have been able to create with local organizations in support of science education and learning. Each year, Upper School also dedicates a day for community outreach and fundraising in memory of Emily. It’s on this day, that the students volunteer at preservation sites and organizations across the city, including the Racine’s Eco Justice Center, Riverbend, Cliffside, ReStore, Racine Zoo, Women’s Resource Center, HALO, St. Monica’s, and many other locations. 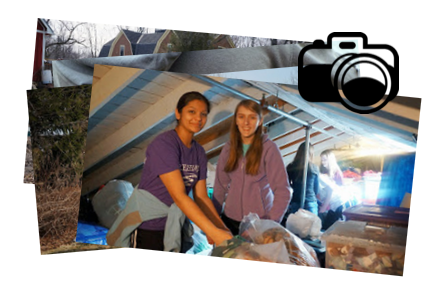 Emily believed in sharing experiences and serving through charity and environmental work. 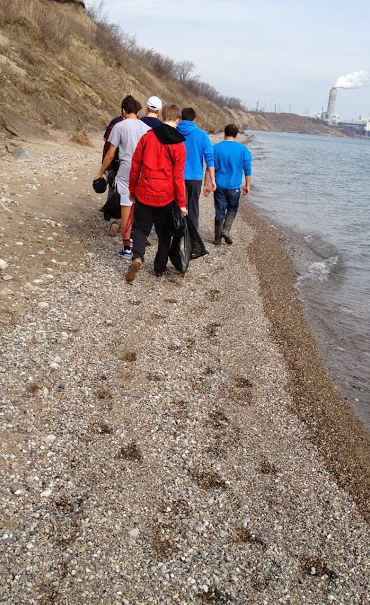 On this day, students, staff, and volunteers work with over fifteen local organizations or environmental sites, which vary from senior care to clean up to supporting the homeless task force. Following the day’s volunteer activities, students and faculty return to John Mitchell theater to exchange memories of Emily and the experiences they gained from their field work. With all the opportunities available, the day’s enlightening stories range from animal habitat sustainability to different ways people support the homeless. Giving back in honor of Emily makes the act of volunteering that much more enriching for the students. Prairie students and teachers know that the work means just as much to the community, as it does the Maki family. Earth Day is a special occasion to make a difference in the Racine community and offer remembrance of Emily’s legacy. Click here to check out additional photos from Emily’s Day! This entry was posted in All News, Community Outreach, Featured, Learn More About Prairie, Middle School, Primary School, Upper School by Communications Department. Bookmark the permalink.